IPKISS is a powerful design framework for photonic engineers. IPKISS allows designers to capture the complexity of integrated photonic circuits using an intuitive and flexible framework. IPKISS is based on Python , an easy to learn yet very powerful programming language that has gained a lot of popularity among the scientific community. You can read more about the rationale behind IPKISS and the Luceda design flow here, and get an overview of the IPKISS features here. A variety of tutorials are available to get you productive using IPKISS. With meaningful examples, you will learn how to create reusable designs. These tutorials are organized by topic and gradually address more advanced topics. The very first step is to install our tools correctly. A quick introduction on the basic principles of IPKISS and why the Luceda design philosophy is so powerful. Gives you a technical overview of what is included in our design suite and how you can use it. Knowing Python is not a strict requirement to learn ipkiss but having some basic understanding will certainly help you. Tutorial to learn the principles of IPKISS without too many technical details. This tutorial introduces the most basic functionality to specify the layout part of your design. This tutorial explains how to define compact models, and run circuit simulations, using our circuit simulator Caphe. The reference lists all available functionality (classes, methods and functions) per topic of interest. As much as possible we provide clear examples to illustrate the use. Below are shortcuts to the most important references. Guides are detailed documents describing specific parts of IPKISS. You are not required to read these guides to become proficient in IPKISS. Nevertheless, once you understand the basics of IPKISS, the guides are a valuable resource to further explore IPKISS’ capabilities. To illustrate the countless possibilities of IPKISS, you can browse through our Gallery of samples. If you don’t find what you’re looking for… do not hesitate to make a request for a specific photonic example. Jupyter Notebook  is a Python based tool to make it easy to execute some simple Python code and visualize the results. As it’s a very interactive tool, it’s a great tool for education and exploring libraries. When building complete designs, however, you’ll probably prefer to use a Python editor because it’s better suited for building your own PCells. When you installed our software, you can click the Notebook button in the Luceda Control Center to explore the included notebooks. We also provide on-line notebooks for exploring the functionality of IPKISS. The Python script UI is ideally suited for component design, component exploration tape-outs, as well as the creation of complex parametric cells and full-fledged circuits. The software ensures that parametric cells can be reused within your organization. The L-Edit based GUI is the path to take if you want to leverage standard EDA functionality in combination with specialized photonics design, and need to integrate your design with electronic driver circuits. IPKISS.flow gives you access to the Python script interface. IPKISS.eda gives you access to both the L-Edit and the Python script interface. 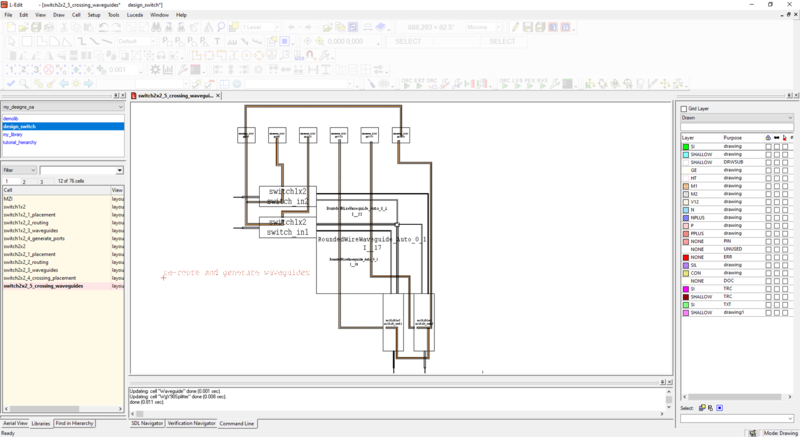 The integration with L-Edit offers a GUI-oriented approach for opto-electronic circuit design. This functionality is available if you have obtained licenses for IPKISS.eda. The documentation of the L-Edit integration is structured around concrete actions & tasks. Learn how to reuse the components and technology from an existing PDK. Learn how to organize your designs in IPKISS in general. This is relevant to both IPKISS.flow and IPKISS.eda users. Create your very first design with IPKISS & L-Edit. 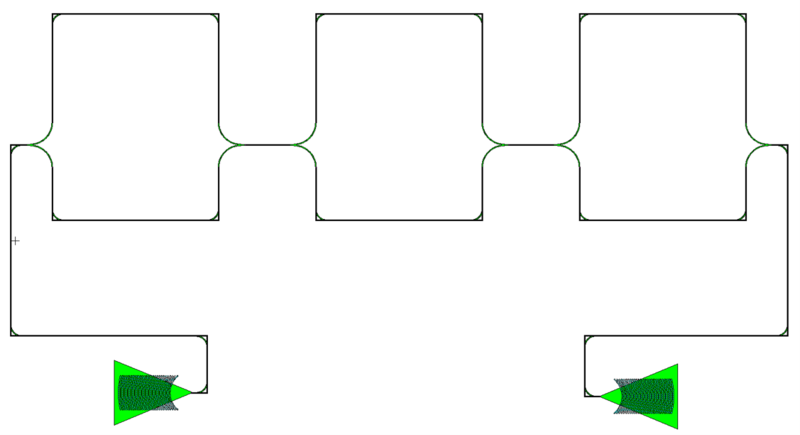 Reusing cells in a design with hierarchy helps you to manage the complexity of your circuit. The IPKISS framework is continuously improved. In the History you will an overview of the essential changes between different versions of IPKISS, as well as guides for porting your components and scripts from one version to another to make the best use of new features, or avoid backward compatibilities. A summary list of changes from version to version is available in our Change Log. We highly value the feedback of our users. To give feedback on the documentation, every page is equipped with a ‘feedback’ button. If you feel that any information is lacking or incorrect, feel free to tell us. Just click the button and let us know what you like, and what you think can be improved (note: internet access is required to submit the form).